Corporate Event Entertainer Steve Russell | Wisconsin Minnesota | steverusselljuggles.com | Planning that Annual Banquet Just Got Easier! National Headliner for Your 2011 Company Party! Planning that Annual Banquet Just Got Easier! I’m so glad you made it here. I think you will be, too. My name is Steve Russell, and I specialize in bringing Comedy to the Corporate Market. 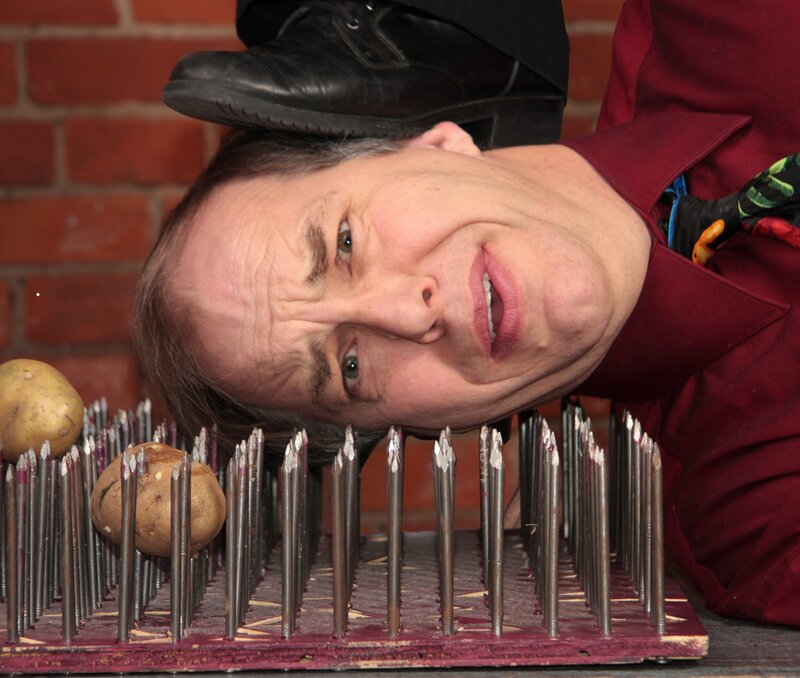 My 100% clean and clever show is perfect for after-dinner entertainment at your annual awards night or holiday party. Because I want to stay closer to home this year and NOT spend all of my time in airports, I am offering my show to you. A National Performer at a Local Rate! This is a completely turn-key, hassle-free booking. Just contact me and I will do everything in my power and skill-set to make sure that your event is easy, memorable and filled with fun for everyone. You can see my promo video below. Watch it for a brief view of the sort of comedy I do. When you book this show, you get the same dedication to excellence that has taken me to The Tonight Show, Disney Theme Parks, Live with Regis and Kelly, luxury cruise ships all over the world and on tour with Penn and Teller. Below is a short (and it is quite short) showing the latest addition to the show. Let me know if there is anything else I can help you with. I would enjoy a chance to talk with you further about your event. There are just a few openings left in my busy calendar. Call now to reserve your date! The clean nature of material used provided an excellent venue for both children and adults and kept everyone laughing throughout the event. Your juggling talent and comic persona offer a unique combination of skills that are thoroughly enjoyable.